Have you been disappointed by all the financial articles out there that claim in their headline to have a way of calculating your "retirement number" only to click and read an article on the 4% withdrawal rule? I have! The 4% rule, for those of you who don't know, says that during your retirement you're to withdraw no more than 4% of your retirement funds annually to cover all of your living expenses. It's supposed to help you have enough money to last you through retirement. Online retirement calculators want you to include inputs you may not have, only tell you how long your money will last, don't actually spit out a target dollar amount, and in some cases, won't share anything with you unless you sign up. I've tried a few out. Don't take me wrong, there are a lot of great articles to reference. Google: How do I calculate my retirement number. My favorite of all articles on page one is provided by thesimpledollar.com because you get a step-by-step approach. Why I decided to blog about this today is because recently I was asked to answer: "How much money do you personally need to retire, and how did you come up with that number?" for an upcoming article at a financial site. (When it's live I will let you know). Below is my answer. It may not be accurate, meaning I may be missing some things as I did this without any feedback from CPAs or financial professionals. Nonetheless, my methodology is explained and it could help you out with this same problem of wanting to know your number but not having a way to actually compute it. 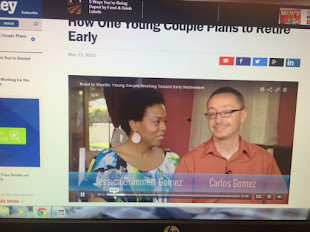 To retire my wife, Jessica, and I will need $4.45 million in total assets. How I came up with this number is as follows. Retiring at 65, I plan on having our money last us until Jessica is 95. (I’d be 99 and don’t plan on being alive as none of my grandparents have reached 90). Our home is our biggest expense today. We spend $37K a year on mortgage, property taxes, insurance, and maintenance. We spend about $29K a year on all remaining living expenses. Therefore, we are spending about $66K a year to maintain our standard of living. In 2042 when I retire, we will be mortgage payment free, but still have to pay property taxes, insurance, and maintenance costs. These are variable costs that will no doubt rise over time. Using a 2.5% yearly rate of inflation, I estimate my housing costs will be about $17K a year in 2042. The $29K of living expenses will be about $54K factoring inflation at 2.5% once again. That means we’ll need $71K in 2042 to live as we live today. Accounting for inflation for an additional 33 years (i.e., from 2042 to 2075 when Jessica would be 95) of life, this puts us in need of $4.45 million in total assets to live comfortably in our current 3,200 square foot home in Oceanside, CA. We have $1.25 million in assets today. If we don’t reach the 4 million plus mark by 2042, there’s always leaving the state and downsizing, i.e., plan B! Well, you can see that my reasoning includes factoring in how long I need our money to last, inflation, when I expect to retire, how much income I'll need each year adjusting for inflation every year, where I plan to retire, and so on. I had to think hard about this. 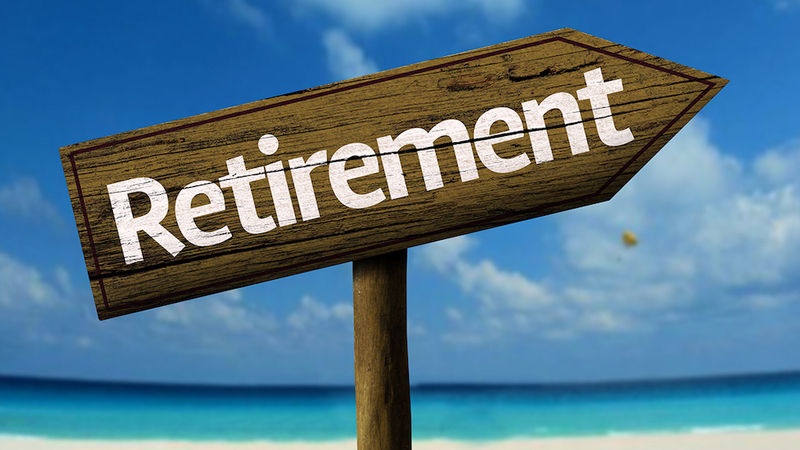 What could alter my actual retirement number? For starters, inflation may average 2% and not 2.5% over the course of my lifetime, or who knows...maybe even more and that wouldn't be good. I may die sooner than 90. I mean, I can go on forever. No one can predict everything that will happen in the future. But...at least I have a target retirement number to shoot for. I plan on downsizing for sure (two people won't need 5 bedrooms) so renting or living in a tinier home (this will depend on the economic cycle) will surely mean we'll need less to retire comfortably on. Alright, there you have it. If you have any input on this topic, please share with all of us by posting a comment below. Until next time!